Google is planning to release a new virtual reality headset for smartphones this year, pegged as a successor to its Google Cardboard platform and similar to Samsung’s Gear VR. The company will add extra support for the technology to its Android operating system, according to a people familiar with its plans cited by The Financial Times. The “most” part is key here: Google Cardboard relies solely on your smartphone while Gear VR features extra motion sensors. Google’s upcoming headset is said to be compatible with a “much broader range of Android devices than Gear VR,” which only works with Samsung’s Galaxy S6, Galaxy S6 edge, Galaxy S6 edge+, and Galaxy Note 5. On the software side, Google is reportedly hoping to embed new virtual reality features directly into Android. This is unlike Google Cardboard, which relies on a traditional app for all its virtual reality bells and whistles. 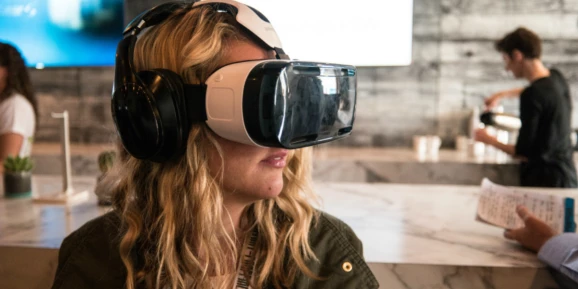 Better hardware and software will result in viewers willing to spend longer in virtual reality and developers creating more sophisticated apps, Google hopes. Indeed, the company’s new solution will likely be meant to build out Android as a virtual reality platform — Google will want to help other manufacturers develop their own compatible solutions rather than show off a limited closed platform. When exactly might we see this latest virtual reality push? Given that Google typically shows off new Android versions at its I/O developer conference, and that Cardboard debuted at I/O 2014, it’s a safe bet to expect the unveiling at I/O 2016. This year’s edition is slated for May 18 to May 20 in Mountain View.